Monterey Jack Cheeses are semisoft with a buttery-ivory color and a mild flavor. Named after its creator, David Jacks, a cheesemaker near Monterey, California. Jack cheese has high moisture and good melting properties making it good for sandwiches and cooked dishes. 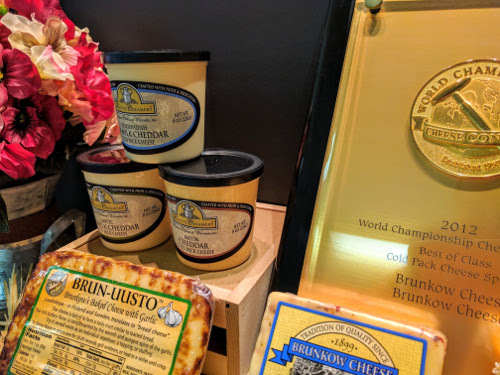 Soft, buttery and spreadable, our cheese spreads compliment any meal whether you spread it on crackers, your burger bun or use it in your bloody mary’s, our spreads are guaranteed to satisfy! 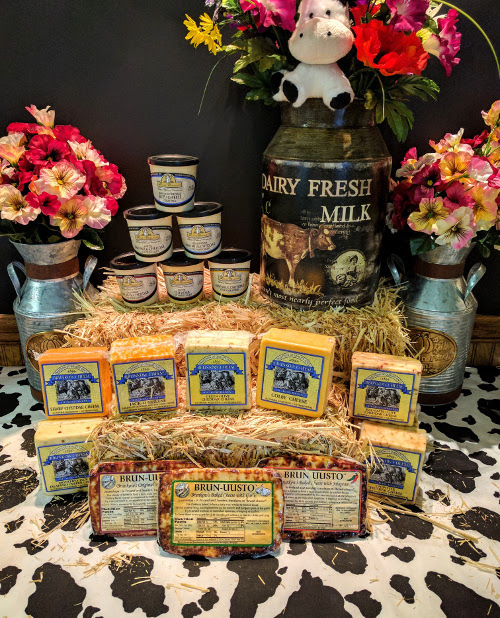 Chedder Cheeses are our most popular cheese; cheddar cheese originated in the village of Cheddar, England. A firm, cow’s milk cheese that ranges in flavor from mild to sharp and can contain a variety of flavor combinations. As cheddar slowly ages, it loses moisture and its texture becomes drier and more crumbly. 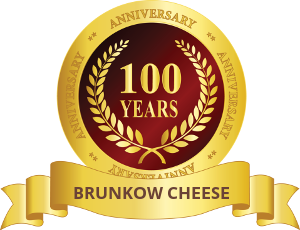 You will notice the sharpness of cheddar beginning at around one year of age and it can continue to age for many years; here at Brunkow Cheese, we have cheddars that range in age from 60 days to 12 years.